Coming across this tidbit seemed like a good excuse to rewatch the movie for the first time in over a decade. A decision that reaffirmed my love for the Public Library, and also for DVD commentaries. I decided to watch the movie with William Friedkin’s commentary, which was the right move. Not only does he give fantastic insight on the making of one of the best cop movies ever made, but he does it with the humble nature of a Donald Trump. He boasts about not reading the book that The French Connection was based on, because he lived it, man. He went out on all night stakeouts with Eddie Egan and Sonny Grosso. He also takes great pride in utilizing cameraman Ricky Bravo, who shot footage of Che Guevara during the Cuban Revolution. That’s the kind of juice Friedkin brought to the party, and rightly so. He even takes a dash of credit for Three Degrees’ success. #LikeATrump. 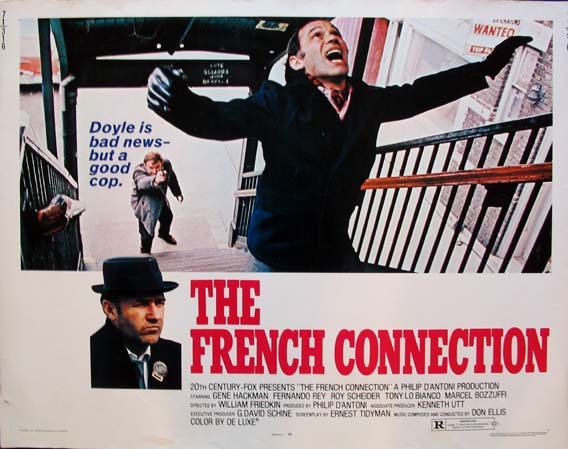 Posted in Uncategorized and tagged copacabana, eddie egan, gene hackman, jimmy webb, sonny grosso, the french connection, the three degrees, william friedkin on January 20, 2015 by mgroesch2014.